When protecting your bike think Star Trac. With our latest tracking technology using both GPS and GSM we can protect the bike and rider 24/7. The Star Trac bike unit has one of the lowest power consumption rates of any unit out there, allowing us to monitor and protect without you having to jump start or push your bike when not used for long periods of time. With the high crime in South Africa motorcycles are being stolen at an alarming rate. The reason being, that your bike is an easy target. Bikes can be loaded onto the back of a bakkie in minutes. Little attention is drawn to the theft, and there is no need to hotwire the bike. The Star Trac Tow alert will notify us should the bike move while parked. Using Star Trac’s accident protection technology, the Star Trac Bike Unit will alert us instantly should the rider go down. 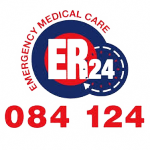 This allows us to contact emergency people on the riders contact list. This will allow us to get medical attention to the rider as soon as possible. Drawing less than 3 mha from the bike battery in sleep mode the Star Trac Bike Unit (depending on the bikes battery condition) will allow up to 60 days between starts. With more and more companies turning to bikes for quick and cost effective deliveries, Star Trac can offer the fleet manager the opportunity to monitor riders and deliveries in real time. This increases productivity and reduces running costs. 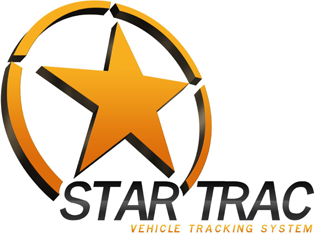 The Star Trac Unit offers full live tracking and rider safety to fleets as well as individual bike owners, with the knowledge that we have your back. Once installed each owner gets web based access, allowing both casual riders or fleet owners the ability to login and run reports on trips, speed and locations. Allowing total control of the bikes movements online in real time.